The SIUE Nature Preserve was established in 2010 as a protected area to promote learning about native Illinois ecosystems and wildlife, and appreciation for nature. It is located on the main SIUE campus in Edwardsville, Ill., and includes 380 acres of old growth bluff forest, secondary forest, restored grassland and lake shore habitats. The SIUE Nature Preserve is a unique resource for the University and region, as it provides on-site research and teaching opportunities for students, faculty and staff. SIUE is located in proximity to a number of city, state and national nature preserves, and the Nature Preserve plays an important role as part of this regional green spaces network. 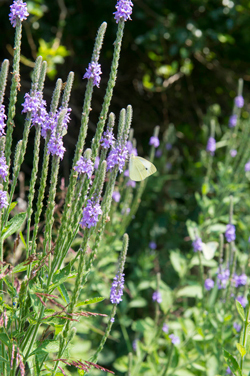 SIUE students, faculty and staff are encouraged to incorporate the Nature Preserve into research and teaching activities. The teaching and research project request forms provide more information and application procedures. Passive use by the University and broader community is welcome, including walking marked trails and bird watching. Please visit Use Guidelines for more information. This is a digital guide to plants found on the SIUE campus, including photos, descriptions and additional information. SIUE’s sustainability-related activities, events and resources are available at this website.